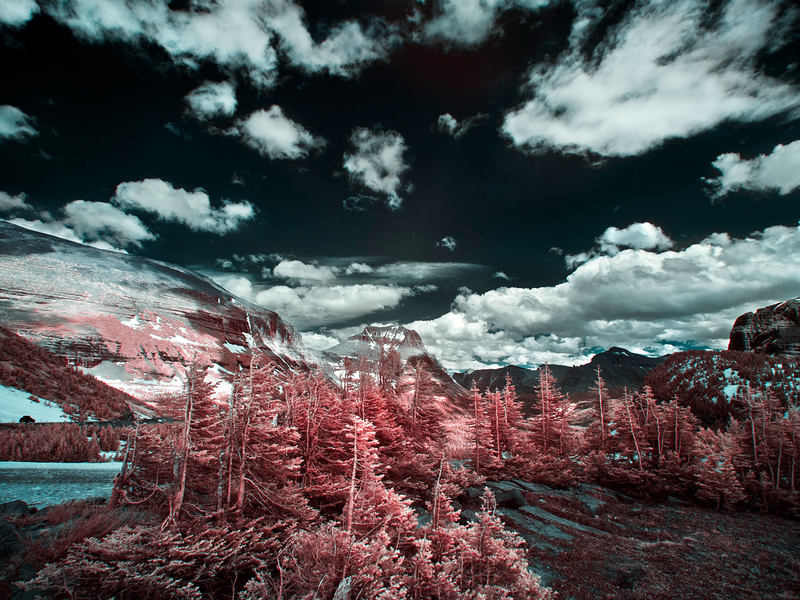 This photograph was taken on the summit, off of Going To the Sun Road at 760 nm with false colour applied. Are trees really pink at the summit? Yes.